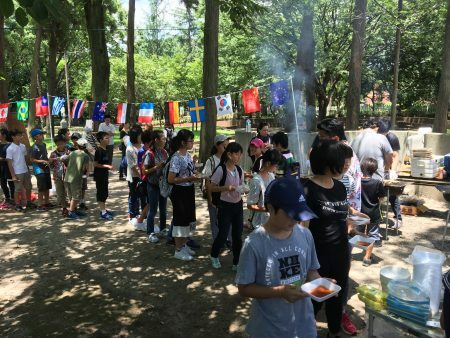 On July 17, the International Plaza at Kumamoto University hosted 38 junior high school students and 4 international students from Kumamoto University for English conversation, games and a barbeque event. The event was co-organized by the Junior High School Attached to Kumamoto University and the Center for Open Education’s Kumadai Global Youth Campus Program. 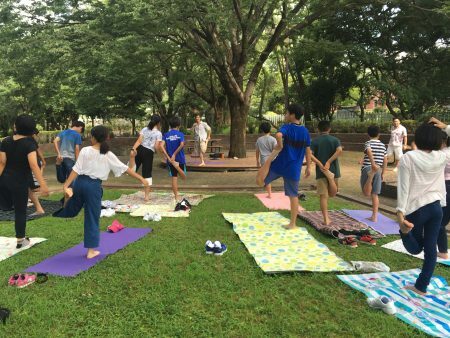 Participants first enjoyed English yoga, followed by English conversation about cultural customs and simple games from around the world. Finally, participants enjoyed a barbeque at Kumamoto University’s International Plaza. The Global Youth Campus Program at Kumamoto University’s Center for Open Education aims to increase cross-cultural awareness and understanding within the local community by providing opportunities for direct communication and interaction with international students.